"When the smoke cleared, twenty-six army soldiers of the 45th infantry division... some of them my buddies, were dead. 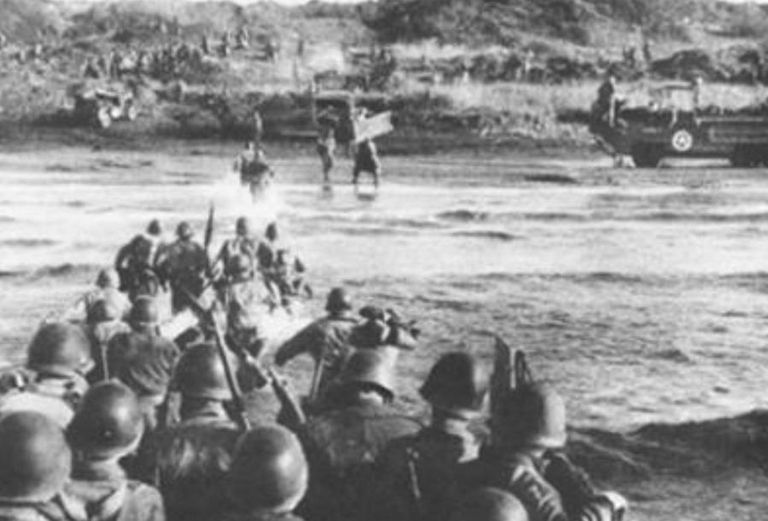 My division had landed on the Anzio Beach head, Italy. A major thrust during World War II. The Germans had launched an air attack and had hit us with a least two bombs. They were trying to put a halt to our advance. Many Americans were wounded and many were killed. But nothing was to stop us from winning... but the cost was tremendous. In the months that followed, I drove a truck which served as an ambulance for the injured at the front. Taking seriously injured soldiers to medical aid stations, I saw the cost of war up close. Many had missing limbs, had lost their eyesight... some were dying and did not make it. This Memorial Day, I remember! I remember that the price of freedom comes high... the sacrifice made by Americans in World War II and other wars was the ultimate sacrifice. I remember that I was, and am blessed - for I got to come home in one piece. I praise the Lord for his gift of LIFE and on this Memorial Day Weekend, I pray that we will never have to fight a war again... especially a war in this great country of ours." May we never take for granted the freedom that so many fought for us to enjoy.